Hard drives are used to store and backup data from computers, laptops and other devices. 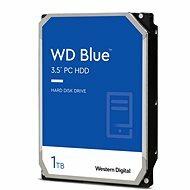 We distinguish internal hard drives, which you would use when building a computer or expanding its storage capacity, and external hard drives. External hard drives are suitable for storing and backing up various types of data, such as videos, photos, or music. They can also be connected to a desktop computer, laptop, or TV, usually via a USB port. You can thus conveniently disconnect them, even when the computer or TV is turned on, and use them again with another device. 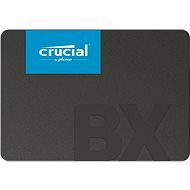 What should I look out for when choosing a hard drive? 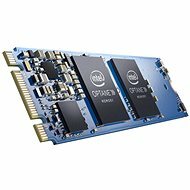 These modern drives are based on the NAND Flash technology that utilises transistors for storing data. These devices are very fast and do not contain moving parts, which increases their resistance to mechanical damage. Due to their high speed, they are usually used for the operating system and the most used applications. HDDs are traditional drives that use magnetic induction to store data on rotating platters. Compared to SSDs, they are more affordable, but they are significantly slower. 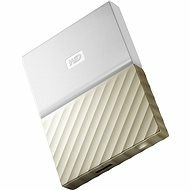 In modern assemblies, the main function of these drives is that of a data storage device. SSHD drives combine both the above-mentioned popular technologies. 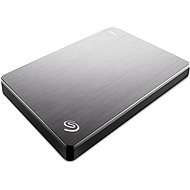 A single hard drive features a main HDD that is complemented by a smaller SSD that serves as a large memory cache. It improves the performance by storing copies of the most frequently used data on the faster SSD. This is a good compromise in case your notebook is equipped with only one hard drive bay, which can thus be used to its full potential. 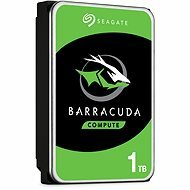 3.5" - hard drives of this standard size are used in most desktops and servers. 2.5" - hard drives of this reduced size are mainly used in notebooks. Devices of this size can usually be used in a standard computer. However, smaller sizes usually mean higher prices or slower speeds. 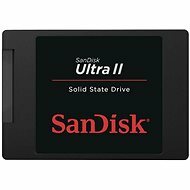 M.2 - this modern standard was developed for SSDs. M.2 hard drives fit directly into a dedicated slot on the motherboard. The biggest advantages are its miniature size and a speed potential that surpasses older solutions. USB 2.0 - USB 2.0 is not the oldest, but nowadays it is an obsolete version of the USB interface. The fast SSDs would only be slowed down by this technology. USB 3.0 (3.1 Gen1) - Do not be fooled by the misleading name. USB 3.1 Gen1 is the old standard USB 3.0, which is now being referred to in this new way. Its performance is sufficient for most external SSDs. USB 3.1 (3.1 Gen2) - USB 3.1 Gen2 offers twice the transfer rate compared to Gen1 and can be powered by up to 100W. USB-C - this connector is roughly the same size as the popular microUSB connectors. However, it features a number of advantages that make it a connector of the future. Its symmetrical shape ensures that you will always get it right and connect the device on the first try. At the same time, USB-C supports all USB standards, including USB 3.1 Gen2. USB-C can also handle Ethernet connections and image transfers using HDMI 2.0. Due to its rising popularity, the USB-C interface can already be found on modern external SSD drives. 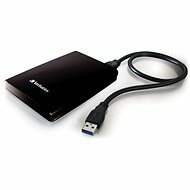 i Some external drives can be connected to your home network (with a LAN cable or WiFi). You can then access your files remotely via the network. Additionally, you can share your data with multiple users at once. eSATA - this interface has gained its fame as a faster alternative to USB 2.0. However, the latest version already outperforms it, so it is not used much anymore. FireWire - FireWire is not a widely used interface anymore. It originally provided connection to camcorders, but today it is lagging behind the speed of USB. LAN - this designation is used for data storage devices that can be connected to a local network, using a standard RJ-45 connector and Ethernet, where it functions as a NAS. Thunderbolt 3 - Thunderbolt 3 is currently the only alternative interface that offers faster speeds than USB 3.1 Gen2. It connects via a USB-C connector and can even transfer images using DisplayPort 1.2. Wi-Fi - external Wi-Fi hard drives can communicate wirelessly, which can be very useful. SATA II - SATA II is already falling behind, so you should avoid it, if possible, and choose one of the newer options for connecting internal hard drives. SATA III - SATA III is now a standard interface for connecting internal hard drives. Nevertheless, some modern SSDs are already exceeding the capabilities of the SATA interface, which use the AHCI communication interface optimised for slower HDDs. SAS - a serial protocol that replaces the older parallel SCSI interface. It is mainly used in server hard drives. M.2 (SATA) - we have mentioned the M.2 interface above. However, this standard does not guarantee higher speeds in itself. Even M.2 drives may feature an older SATA bus, which would significantly limit their speed. M.2 (NVMe) - NVMe is a communication interface that replaces the obsolete AHCI standard and meets the needs of fast, modern SSDs. Its biggest advantage is the ability to perform high-speed parallel data transfer via PCI-Express. 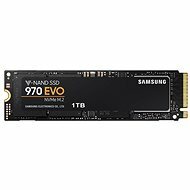 NVMe SSDs are the fastest storage devices you can currently get. 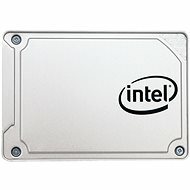 i Before purchasing an internal hard drive, check which interface your motherboard supports. 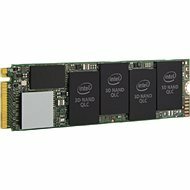 PCIe - PCIe SSD drives are actually NVMe SSDs that use a common PCI Express 3.0 x4 bus connector instead of a dedicated M.2 slot, so they communicate via four lines. In addition, an M.2 SSD can be connected to a PCIe slot using an adapter card. U.2 - The M.2 standard enabled SSDs to get smaller, which in some applications reduced their capacity. A U.2 connector can connect 2.5" SSD drives using the NVMe standard to ensure high speeds. If your motherboard does not have a U.2 connector, you can use an adapter and connect it via an M.2 slot. 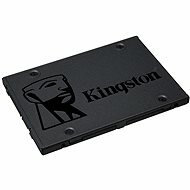 mSATA - this standard is the predecessor of the M.2 SSD format. It communicates via a SATA bus and thus has all of its limitations. Its only advantage is its smaller size. The format is also not very popular and is not compatible with standard SATA connectors, so make sure to check that your computer is equipped with the right slot. * The speeds listed are only theoretical maximum speeds. Actual speeds are usually lower, depending on the hard drive type, the controller, the driver, or the type of data being transferred. One file is transferred faster than a folder full of smaller files. A hard drive's read speed is the speed at which it is able to access stored data. On the contrary, a hard drive's write speed tells how fast it can receive and save data. As long as speed is concerned, SSD drives are the best. HDD Rotation Speed - this parameter shows how fast the discs of an HDD are rotating. This is one of the major factors that influences the drive speeds. The rotation speed is proportional to drive speeds and also to the noise it makes, and it is inversely proportional to the length of its service life. Disk Buffer - a buffer or cache is a small amount of fast memory embedded in a hard drive. Its task is to speed up the hard drive by retaining selected data. A larger capacity buffer usually positively influences drive speeds. TRIM - the TRIM operation ensures the highest possible write speed in an SSD. Once data is deleted, only information about their presence is usually removed, the real content is deleted when overwriting, which is a relatively lengthy process. TRIM ensures that after the data is deleted, SSD cells are emptied for a new clean write. RAID - the RAID feature allows sorting drives into fields. The primary purpose of RAID is to protect stored data. 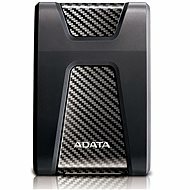 Some types of RAID can also have a positive effect on drive speeds. Advanced Format - this technology applies to mechanical hard drives. Its goal is to increase the density of data on a drive by keeping the data in larger sectors. Hard drives are used to permanently store data in computers, laptops and other devices. 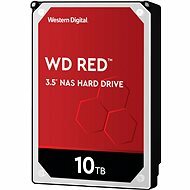 They are one of the most important parts of a computer and they differ in many features, therefore, when selecting the right hard drive, pay attention to its parameters. 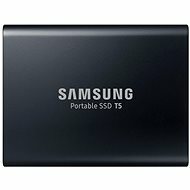 How to choose the right hard drive? The important parameters are hard drive capacity, type of interface, the technology used to write/read data, and in some cases, even the cooling system. 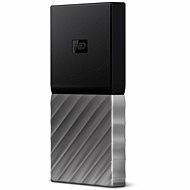 Choose from our wide selection of internal hard drives or external hard drives. 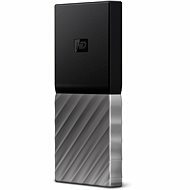 External hard drives are ideal for expanding the storage space of laptops or computers. They are ideal for storing large files that you don't have to use daily, e.g. films and videos. 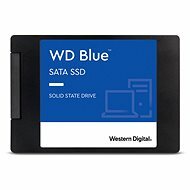 Solid State Drives use flash memory and have no moving mechanical components. Therefore, SSDs are incredibly quiet, fast, and less prone to mechanical damage. Because of their very low energy consumption, they are ideal for high-performance laptops or ultrabooks. Hard drives for data storage within a network (NAS) are designed for both home and corporate environments. A NAS can store data which you can access from anywhere using a simple web interface. Server hard drives also have to endure very demanding conditions. They are designed for continuous operation, during which their plates can rotate at 15,000 rpm. 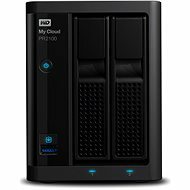 Western Digital produces powerful and efficient hard drives of the highest quality. Their hard drives have a reputation for being reliable and durable. Their colour edition hard drives will satisfy every user.